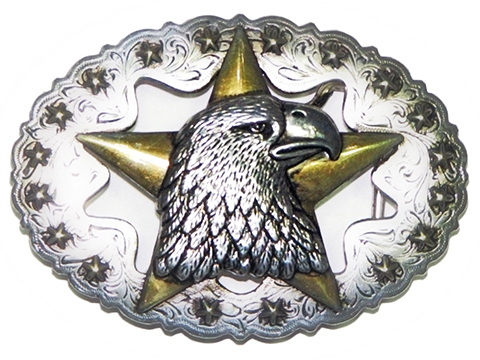 A classic 1960's style Western Trophy Buckle Featuring the Lone Star of Texas with the Eagle Head. This buckle is styled on the traditional buckles that are handmade by silversmiths. 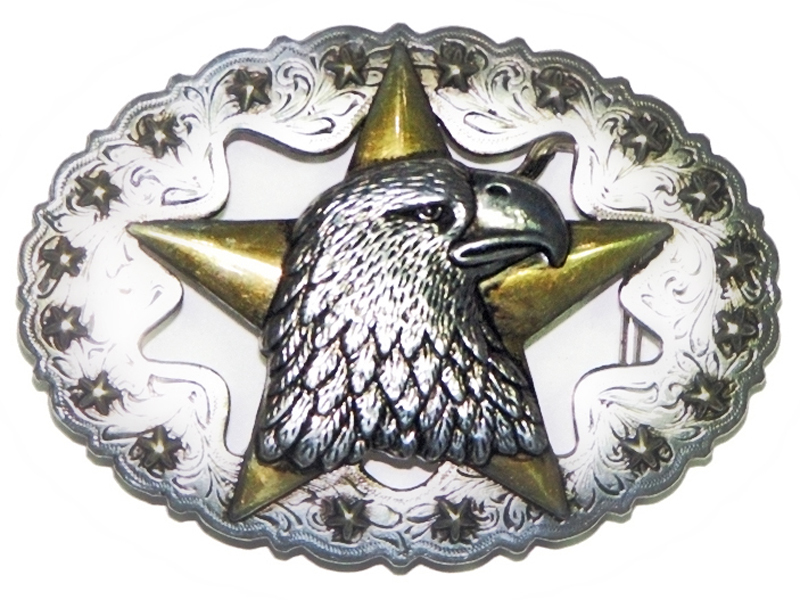 The makers have retained all the charm, warmth and striking features of the traditional cowboy buckle whilst utilising modern metal casting techniques. The result is an affordable buckle that is elegantly defined which can be worn anywhere with confidence. The buckle is made from tough zinc-alloy casting metal and has a heavy silver plating with gold trim.